Finally Spring is here, or right around the corner. So, whether walking, hiking, camping or any other outdoor sport, you know it will be more fun with your dog. Your loyal companion doesn't mind how often you stop to enjoy the scenery or catch your breath! 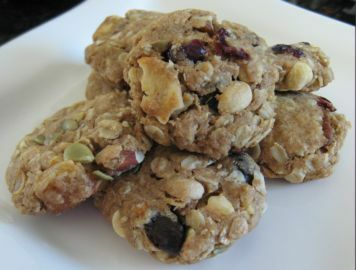 :) Reward your sweet dog (and yourself) with this delicious trail mix dog cookie recipe. Not sure where to go hiking with your dog? Need help getting started? Go to this fun website http://www.hikewithyourdog.com/ to find your next dog friendly adventure. Pet First Aid and dog treats, what's the connection you may ask? Love. You bake tasty and healthy homemade dog treats because you love your dog, and want him to have the best. Like most dog lovers, you consider your dog a part of the family. But do you know what to do in case of an emergency? You may be surprised by your answer. Don't wait until the unthinkable, educate yourself now. Start with this website http://www.pettech.net/ and learn what you can do to keep your dog safe.